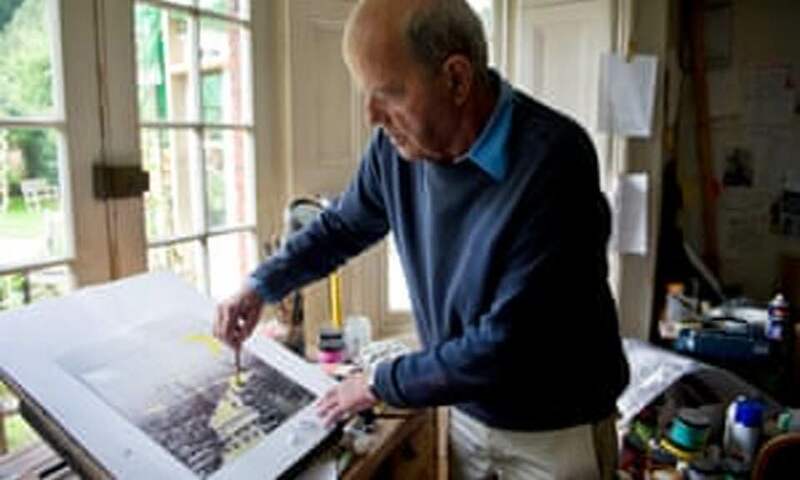 It is with great sorrow that we learned yesterday of the death of John Burningham, aged 82. He passed away on Friday, 4 January 2019 after contracting pneumonia, his literary agent confirmed. 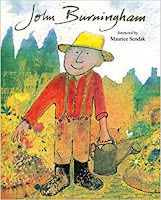 John received a lifetime achievement award in 2018 (jointly with his wife, Helen Oxenbury) from the childrens' book charity, Booktrust; having written and illustrated dozens of childrens' books; making a contribution to childrens' literature that is simply irreplaceable. His very first picture book, Borka: the Adventures of a Goose With No Feathers, saw him receive the Kate Greenaway Medal in 1963. He won that accolade again in 1970 for Mr Gumpy's Outing. His work always delighted and inspired many others. Judith Kerr (author of The Tiger Who Came To Tea, et al) credits his picture book Humbert, about a working horse that pulls the Lord Mayors' coach with inspiring her own illustrious career. 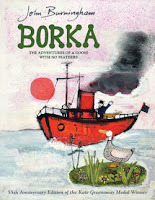 She has said it remains one of the best picture books for children. 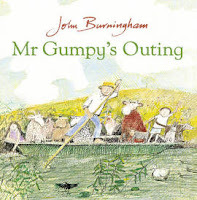 I had the opportunity to meet John Burningham and Helen Oxenbury at a Childrens' Books Ireland conference a few years ago. Their talk remains a highlight for me, of all the conferences I have attended. Afterward, standing in a very long line for a book signing was an experience of childlike excitement and anticipation. The few brief moments of relaxed chat gave me a glimpse of a man that was, not only talented with a gift for storytelling and the ability to relate easily to children, but a man of kindness, generosity and great humour. He also added that he had no intention of stopping his work. 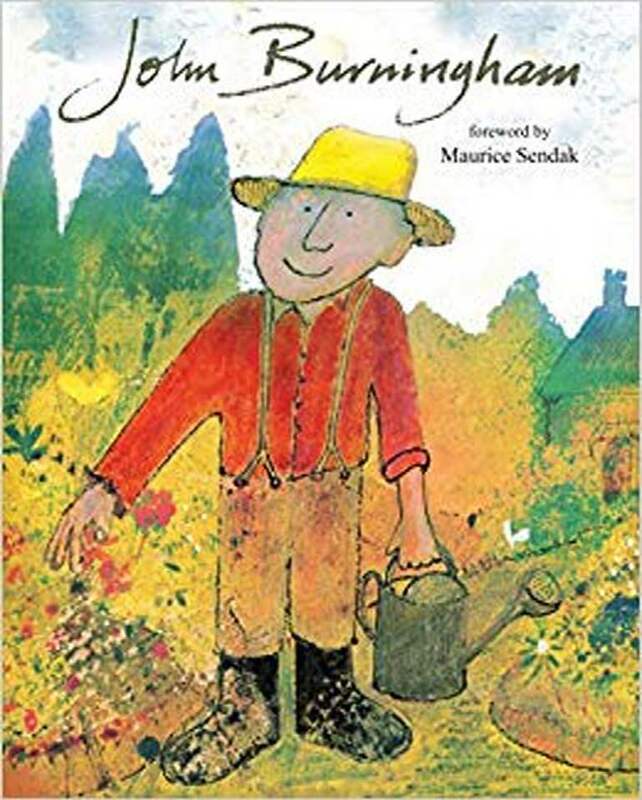 His passing is a great loss to children everywhere, the kidslit world and anyone who ever had the chance to meet John. The childrens' literary world is in mourning today; but it is also enveloped by joy and gratitude for being touched by this wonderful man. R.I.P. 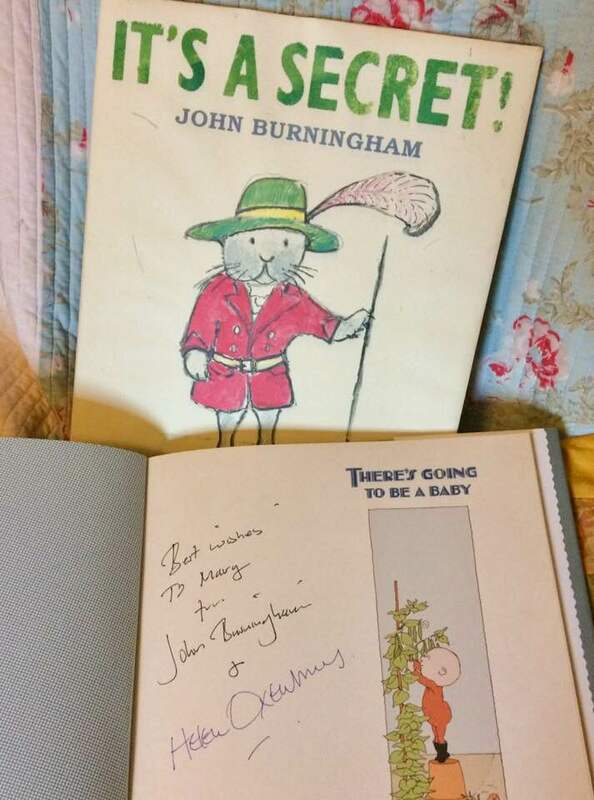 John Burningham; and thank you so very much. The Hairy Hand Blog Tour!